Having a plan will make your networking your efforts much more successful. It will also help you keep track of what you've accomplished & where you're up to with your efforts. Set goals for networking. Are you preparing for a job search in the same career field? Do you want to make a career change? Are you looking for mentors or leading professionals? Want to meet other job seekers? Deciding who to contact will largely depend on what your goals are. To build an effective network, you'll need a mixture of contacts to help you with the various tasks you will be faced with and your goal. Some will be friends, family, other social contacts & emotional supportive networks while others will be leading professionals, senior industry figures, mentors, support organisations etc. It is important to also become familiar with networking resources when you make your plans. How will you network or make contact with your list of contacts & potential contacts? LinkedIn is a popular, essential online choice but will not be enough. 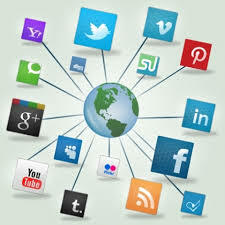 There are other social media you can use such as Twitter, Google+, Facebook etc. 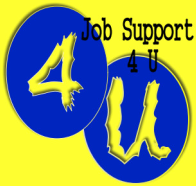 You can also use state job centres, career/job fairs, email and more as your network progresses. It is important you remember that you can use any socially acceptable occasion to network just don't use inappropriate places such as toilets etc (Yes it has happened). Plan to be always be ready to meet new potential contacts. You have made your plan, now it's time to look at who will you contact to help with your efforts and expand your network. When you have made your plan you will have drawn up a list of the type of people/organisations you wish to network with & the reasons why. Below are helpful steps to help you develop your lists of network contacts. (4) Now you have your list in place, consider how you will contact people you would like to include in your network: in person, email, phone, LinkedIn or other online networking group, social media, etc. Pick methods that you feel comfortable with first then develop the others as you progress. Methods like LinkedIn will take time not only to master but also to produce results. (Meeting face-to-face with someone working in a job that interests you will have a powerful impact on your networking and career research). IMPORTANT: Keep your network to a manageable size. Start off small and work up to a size that works and suits you.